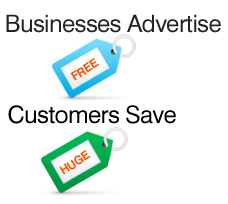 Advertising on Coupon Huge will give you a leg up on your competition! *There is room for 4 Banner ads at a time. It is visible down the right hand side. *There is room for 5 Banner ads at a time. It is visible down the right hand side. *There is room for 3 Sponsor Coupons at a time. It is visible in the center of the home page. *There is room for 5 Sponsor Coupons at a time. It is visible in the center of the home page. To discuss packages and options, don`t hesitate to contact us.